I have a copy of the book. It is the same edition that I gave to my father in 1995 with the simple inscription: To my father – who taught me all of life’s tight lines – Love, Allen. It is a cherished piece of our family tradition of fly fishing as well as a personal reminder to always be the best I can be and attempt to love those around me, even if they are elusive. Having seen the movie and read the book many, many times I can honestly say that I love both equally for their superb portrayal of a fly fisherman’s approach to life. To many of us, fly fishing is not merely a sport or a pastime. It is a philosophy of living that binds us to nature in our busy daily lives and affords us a clear vantage point to view the world around us with extreme clarity. When you have waded hundreds of streams in the search for trout, you learn to read people and the world around you much in the same way you read a river’s currents. What is underneath the surface often becomes immediately clear, ultimately leading to a better understanding of our surroundings and how to deal with them. This is not to say that fly fishing is actually a religion, although some including me would argue that it is indeed. Rather, as Maclean’s book states: There is “no clear line between religion and fly fishing.” Standing alone in a stream in the early morning mist, connected with the world’s natural rhythms, is in many ways a greater communion with God than sitting in a pine pew and having the world interpreted for you. 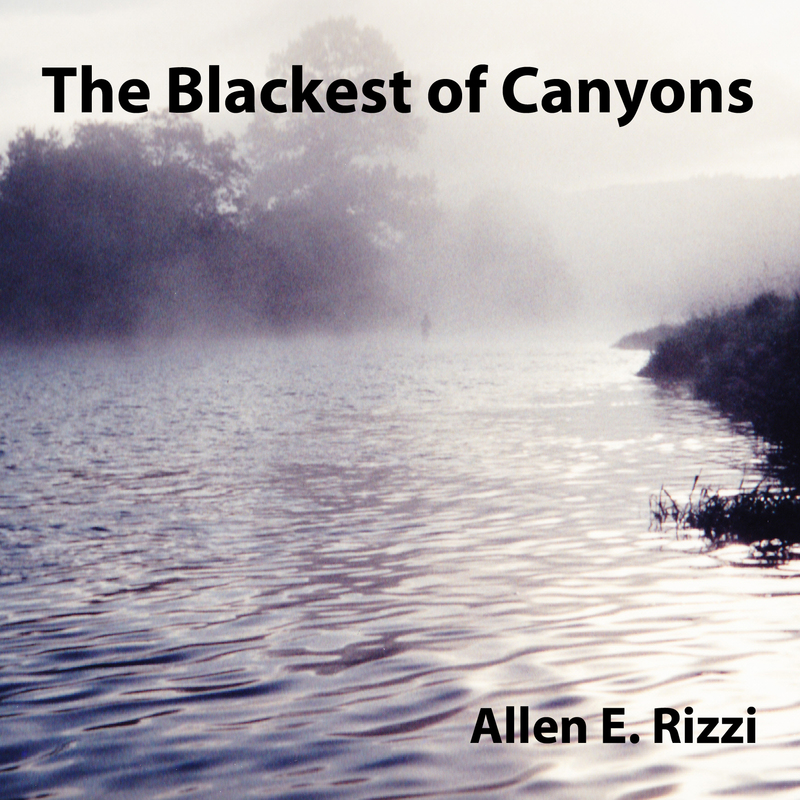 The book and the film partly inspired my own book, The Blackest of Canyons. The themes are different but in the end both books deal with fly fishing as a backdrop to larger questions in life. Maclean’s book largely deals with loving people in one’s life who can’t be fully understood. My book deals with how father and son trade places as life moves forward and the bonds that allow that to happen. For fly fishermen, a river does run through all of our lives, be it a spiritual stream or one of the many rivers we have fished. In the end we are all haunted by waters…. Photo: Author on the North Fork of the Willamette River, Oregon in 1994 (Photo by Rachel Rizzi). Lovely writing. I think I’m going to watch the movie. I’ve heard about it, but never jot to see it. Sono molto ignorante non conosco il libro né tantomeno il film deke dalle tue descrizioni sono molto interessanti. Cercherò sul web ormai si trova quasi tutto per fortuna!!! Nei primi dieci minuti del film c’è una foto di mio nonno. Robert Redford ha realizzato il film e preso in prestito la foto da un museo nel Montana.